A high efficiency filter medium for fuel or oil filtration, comprising (A) a first layer, comprising nanofibers; and (B) a second layer which is a fibrous web comprising cellulosic fibers is provided. There is an increasing demand for filter media that efficiently remove contaminating particles from fuel or oil. Specifically, effective fuel-particle filtration in new (bio-)diesel and gasoline engine systems requires media that are efficient in terms of particle removal in order to avoid the known problems associated with a high amount of contaminating particles in fuel. For instance, dirt or dust which may be introduced when filling the fuel tank/oil tank or even rust may be mentioned here which may be caused by moisture in the fuel tank. High amounts of such particles in the fuel may considerably affect the performance of the fuel injection system and the engine itself due to increased wear caused by the contamination with particles. Ultimately, a blockage or damage of the carburetor, the fuel injection system and/or the fuel pump may occur due to the abrasive action of the particles on these high-precision components used in modern (bio-) diesel and gasoline engine systems. Particularly, the removal of fine particles having particles sizes below 4 microns presents a major challenge. Due to increasingly stricter emission regulations, there is also an increasing demand for smaller filters without considerably sacrificing the achieved particle removal efficiency, thereby saving space and consequently fuel . Less fuel consumption results in less carbon dioxide emission and is therefore desirable in order to meet the vehicle emission regulations. Particle filtration media of the prior art therefore often include high amounts of glass fibers in order to provide sufficient particle removal efficiency. By including such high amounts of glass fibers, high particle removal efficiency is typically assured. However, glass fibers might exhibit limited strength and brittle characteristics and might potentially pose a health risk. Furthermore, in some instances glass fibers might be associated with a potential concern about abrasion and wear of engine parts due to possible fiber shedding from the filter medium during its installation and use. This is why there are customers that prefer filter media including no glass fibers, i.e. 0% by weight of glass fibers . Another issue to be addressed is that customers desire a longer service interval for filter media. This may be achieved when providing fuel particle removal media that are able to filter particulate contaminants from fuel over a long period of time and with a high efficiency. Hence, a considerable loss of filtration efficiency over time due to e.g. clogging of the filter or wear is disadvantageous. collapsing of these patterns. A 100 % synthetic media as disclosed in the prior art cannot maintain a grooving pattern like corrugation or a pleated structure due to the thermal and mechanical properties of the synthetic fibers. However, grooving patterns are typically important for increasing the filtration surface of filter media, thereby being able to provide the desired high fuel/oil particle removal efficiency of the filter media. For instance, US 2006/0137318 Al describes in the examples filter media which are formed from synthetic (nano- ) fibers only. cellulosic fibers in the scrim or support layer. It is thus an object of the present invention to provide an improved filter medium for particle removal from fuel which addresses the above issues. invention. The following summary merely presents some concepts of the present invention in a simplified form as a prelude to a more detailed description of exemplifying embodiments of the present invention. The present invention relates to a high efficiency filter medium for fuel or oil filtration, comprising (A) a first layer, comprising nanofibers; and (B) a second layer which is a fibrous web comprising cellulosic fibers. The nanofibers have an average fiber diameter of about 100 to less than 1000 nm, such as about 100-600 nm or 100-300 nm. Moreover, the high efficiency filter medium preferably has an overall filtration efficiency of equal to or greater than about 85 %, preferably equal to or greater than 90% or 93%, against particles having a minimum particle size of 2.5 microns when tested according to ISO 19438 as defined below in more detail. Moreover, the high efficiency filter medium preferably has a mean flow pore size of equal to or less than about 10 microns such as about 2 to 10 microns when tested according to ASTM 316-03 (2011) . In addition, the second layer preferably has a Gurley stiffness of about 2-15 g such as 3-8 g, when tested according to TAPPI 543om-05. Without wishing to be bound by any particular theory, the Applicant surprisingly observed that by providing the inventive high efficiency filter medium including, in combination : - a specific layer comprising nanofibers, wherein the nanofibers have a specific average fiber diameter; and - a specific fibrous web comprising cellulosic fibers; a better particle removal performance, particularly for removing fine particles having minimum particle sizes of 4 microns or even 2.5 microns, may be achieved. General Definitions: The verbs "to comprise" and "to include" are used herein as open limitations that neither exclude nor require the existence of un-recited features. The term "consisting essentially of" has the meaning that specific further component (s) , which do not materially affect the essential characteristics of the layer or medium in question, may be present. The features recited in depending claims are freely combinable unless otherwise explicitly stated. Furthermore, it is to be understood that the use of "a" or "an", i.e. a singular form, used herein does not exclude the plural form. Unless stated otherwise, all percentages are expressed as percentages by weight. Unless otherwise indicated, the unit "urn" corresponds to "pm" or micron (s) . fluoride, polybutylene terephthalate ) , glass fibers and regenerated cellulose fibers. material (s) . In this disclosure, nanofibers preferably are formed from thermoplastic polymeric materials including, but not limited to, polyether sulfone (PES), polyamide (PA) such as nylon, fluoropolymers such as e.g. polyamide, particularly nylon or PVDF. directionally or randomly oriented fibers bonded by friction, cohesion or adhesion. The fibers may be staple or continuous/substantially continuous or formed in situ and may be of natural or man-made materials. Within the framework of the present description and of the following claims, a "fine fiber layer" may comprise one or more fiber layer (s) that comprises continuous/substantially continuous fibers and may be of natural or man-made materials. "substantially continuous fibers" includes continuous fibers and fibers which might have been broken during formation and/or use. "Staple fibers" are short cut fibers that may be typically not longer than about 45 mm. "Resins" or "binder resins" used in the inventive media may comprise phenolic, acrylic and epoxy resins. Resins can be applied or coated onto the substrate by any means know in the art. The resins can be applied to one side or both sides. The physical properties of the inventive media can be evaluated after it has been saturated and dried (SD) as well as after it has been saturated, dried and cured (SDC) . The step of drying removes the solvent without crosslinking the resin. An "adhesive" or "glue" is a chemical compound that assists in holding together the specific layers of the medium such as the nanofiber layer to the fibrous web and/or the fine fiber layer, if present. The adhesive or glue is present in the form of a partial layer between the layers that shall be hold together. "Corrugations" (used interchangeably with "grooves" or "grooving") are added to a (preferably resin saturated) media in the machine direction to provide support for pleated media in the finished filter element. The term "substantially no glass fibers" means that no glass fibers, i.e. 0% by weight of glass fibers, are present in the corresponding layer, based on the total weight of the corresponding layer. The term "substantially no synthetic fibers" means that less than 10 % by weight, more preferably less than 5 % by weight, most preferably 0 % by weight, of synthetic fibers are present in the corresponding layer, based on the total weight of the corresponding layer. The term "substantially no fibrillated fibers" means that less than 10 % by weight, more preferably less than 5 % by weight, most preferably 0 % by weight, of fibrillated fibers are present in the corresponding layer, based on the total weight of the corresponding layer. The term "about" in the context of numerical values means that specific values may be modified by +/- 10%. As regards endpoints of ranges, the modifier "about"
preferably means that the lower endpoint may be reduced by 10% and the upper endpoint may be increased by 10%. It is also contemplated that each numerical value or range disclosed in this application can be absolute, i.e. that the modifier "about" can be deleted. If a layer (LI) is "on an upstream side" (or "on top") of a layer (L2), this means that the layer (LI) is situated, relative to the layer (L2), closer to the inventive media' s surface which is in contact with the unfiltered fuel or oil. On the other hand, if a layer (LI) is "on a downstream side" of a layer (L2), this means that the layer (LI) is situated, relative to the layer (L2), farther from the inventive media's surface which is in contact with the unfiltered fuel or oil. In the latter case, the layer (LI) is, relative to layer (L2), closer to the inventive media' s surface which is in contact with the filtered fuel or oil, i.e. to the surface of the inventive media from which the filtered fuel or oil exits the inventive media. The term "fuel" preferably refers to low sulphur diesel. differential pressure of 85 KPa, i.e. when the filter is heavily loaded with particles and is at least partially clogged . The "dust holding capacity" refers to the added weight of trapped particles when the media reaches a target pressure drop or terminal differential pressure such as 85 KPa. The "fine particles" are defined as particles having small minimum particles sizes such as more than or equal to 5, 4, 3, 2.5, 2or 1.5 microns, preferably more than or equal to 2.5 microns or 4 microns. The "minimum particle size" means that the particle size of the corresponding particles is at least the minimum particle size or may be even higher, i.e. the minimum particles size is a cut-off or the lowest value of the partice sizes measured. invention comprises, or consists (essentially) of, (A) at least one first layer comprising nanofibers and (B) at least one second layer comprising a fibrous web. Specifically, impurities in the form of fine particles may be efficiently captured by the first layer. The nanofibers of the first layer have an average fiber diameter of about 100 to less than 1000 nm, preferably about 100 to about 600 nm, more preferably about 100 to about 300 nm. including, but not limited to, e.g. Nylon 6,6; Nylon 6,12; Nylon 4,6; Nylon 6; Nylon 12 etc. ; fluoropolymers such as polyvinylfluoride (PVDF) ; and/or mixtures thereof. In more preferred embodiments, the nanofibers are polyamide fibers or fluoropolymeric fibers. In most preferred embodiments, the nanofibers are nylon fibers or polyvinylfluoride fibers . In other preferred embodiments, the first layer may consist, or consist essentially, of nanofibers as defined above. In some embodiments, the nanofibers may be prepared from an adhesive and polyethersulfone . Preferably, the adhesive is a diisocyanate . The adhesive is used in an amount of about 1 to about 5 % by weight and the PES is used in an amount of about 95 to about 99% by weight, based on the total weight of the corresponding composition. This composition is mixed and manufactured into nanofibers via electrospinning directly onto the second layer or, if present, on an adhesive (coating) layer on top of the second layer as defined below. The second layer comprises, or consists (essentially) of, at least one fibrous web as substrate layer. The fibrous web comprises, or consists (essentially) of, cellulose fibers (which are also referred to as cellulosic fibers) . In preferred embodiments, the second layer may comprise cellulosic fibers in an amount of at least about 50 % by weight, preferably at least about 60% by weight or at least about 70 % by weight, more preferably at least about 80% by weight or at least about 90% by weight, based on the total weight of second layer. In most preferred embodiments, the fibrous web may consist (essentially) of cellulosic fibers, i.e. the fibrous web may not include synthetic fibers. In other most preferred embodiments, the second layer may comprise, or consist (essentially) of, about 80 to about 100 % by weight cellulosic fibers, based on the total weight of the second layer. Due to the presence of cellulosic fibers, it is believed that the second layer provides a base sheet having a stiffness that e.g. synthetic (such as meltblown) base sheets of the prior art will not be able to provide. However, if the base sheet or substrate layer is not stiff enough, it may be very difficult to make a pleated and/or corrugated filter. resistance of the analyzed filter medium. Brunswick pine. Exemplary hardwood fibers include fibers obtained from Eucalyptus . In preferred embodiments, the fibrous web comprises substantially no glass fibers. In other embodiments, the fibrous web comprises about 70 to about 100 % by weight cellulosic fibers and about 0 to about 30 % by weight glass fibers, based on the total weight of the fibrous web . In most preferred embodiments, the fibrous web comprises substantially no synthetic fibers. In other embodiments, the second layer may comprise about 50 to about 90 % by weight cellulosic fibers and about 50 to about 10 % by weight synthetic fibers, based on the total weight of the second layer. The average fiber diameter of the cellulose fibers in the second layer may be, for example, greater than or equal to about 0.5 microns, about 1 micron, about 5 microns, about 10 microns, about 20 microns, about 50 microns, or about 75 microns. In some instances, the average fiber diameter of the cellulose fibers may be less than or equal to about 75 microns, about 50 microns, about 20 microns, about 10 microns, about 5 microns, about 1 micron, or about 0.5 microns. Combinations of the above-referenced ranges are also possible (e.g., greater than or equal to about 1 micron and less than or equal to about 5 microns) . Preferably, the average fiber diameter is greater than or equal to about 0.5 mm and less than or equal to about 20 microns . In some embodiments, the cellulose fibers may have an average length of greater than or equal to about 0.5 mm, about 1 mm, about 2 mm, about 3 mm, about 4 mm, about 5 mm, about 10 mm, or about 20 mm. In some instances, the average length may be less than or equal to about 20 mm, about 10 mm, about 5 mm, about 4 mm, about 3 mm, about 2 mm, about 1 mm, or about 0.5 mm. Combinations of the above-referenced ranges are also possible (e.g., greater than or equal to about 1 mm and less than or equal to about 0.5 mm) . Preferably, the average length may be greater than or equal to about 1 mm and less than or equal to about 7 mm. In some embodiments, (micro- ) fibrillated fibers (like (micro- ) fibrillated cellulose fibers) may be present in the second layer such as up to about 30 % by weight of (micro- ) fibrillated fibers, preferably up to 20 % by weight of (micro-) fibrillated fibers, more preferably up to 10 % by weight of (micro- ) fibrillated . In alternative and more preferred embodiments, substantially no (micro- ) fibrillated fibers may be present in the second layer. In some embodiments, the air permeability of the second layer (w/phenolic resin) may be greater than or equal to about 10 cfm and/or less than or equal to about 20 cfm. Preferably, the air permeability may be greater than or equal to about 12 cfm and less than or equal to about 18 cfm such as e.g. 13 cfm, 16 cfm, or 17 cfm. In other preferred embodiments, the second layer may comprise at least one binder resin such as a phenolic resin, an acrylic resin, a melamine resin, a silicone resin, a fluorocarbon resin/fluoropolymer, an epoxy resin and/or mixtures thereof. Preferably, the second layer may be coated/saturated or impregnated with the binder resin. In preferred embodiments, the binder resin may have a concentration of from 10-30 % by weight, preferably 15-20 % by weight, of the second layer. The binder resin may enhance the stiffness allowing for pleating and corrugation patterns which are maintained over a longer period of time due to less collapsing of these patterns. The second layer optionally may include at least one additive which is common in the art. The at least one additive may be selected from a wet strength additive, a water repellant, a flame-retardant agent, a coloring agent, a hydrophobic agent, a hydrophilic agent, a wetting agent, an antimicrobial agent or an antistatic agent. In some preferred embodiments, the second layer may be present on a downstream side of the first layer. considered to be a protective layer. In one embodiment, the inventive medium does not include a protective fine fiber layer as third layer on an upstream side of the first layer. As shown below in the examples, it is found out that the fine fiber layer is not essential for providing efficient particle removal efficiency, particularly against fine particles having a minimum particles size of e.g. 4 or 2.5 microns or more. In preferred embodiments, the at least one third layer has a basis weight of about 10 to about 100 g/m2 such as about 15 to about 80 g/m2. In an alternative embodiment, the inventive medium may comprise at least one fine fiber layer as protective layer, wherein the at least one fine fiber layer may be present on an upstream side of the first layer. In one embodiment, two fine fiber layers may be present, wherein one of the fine fiber layers may be present on an upstream side of the first layer and the other fine fiber layer may be present on a downstream side of the first layer. polyethylene or polypropylene; polybutylene terephthalate; polyamide; and/or mixtures thereof. In some embodiments, the synthetic fibers of the fine fiber layer may be formed via meltblowing, meltspinning, or spunbonding. These methods are known in the art. The obtained synthetic fibers are typically continuous and/or substantially continuous fibers. In preferred embodiments, the third layer may comprise, or may consist (essentially) of, two sub-layers: (i) a spunbond fine fiber layer, such as a PET layer having preferably a basis weight of about 8 to about 30 g/m2; and (ii) a meltblown fine fiber layer, such as a PBT layer having preferably a basis weight of about 25 to about 80 g/m2. Preferably, the spunbond fine fiber layer may be on an upstream side of the meltblown fine fiber layer and both sub-layers may be on an upstream side of the first and second layer. In some preferred embodiments, the meltblown layer may be present on a downstream side of the spunbond layer. In other preferred embodiments, the third layer may comprise, or may consist (essentially) of, one sub-layer: a spunbond fine fiber layer, such as a PP/PE layer having preferably a basis weight of about 10 to about 20 g/m2 such as 17 g/m^ . Preferably, this spunbond fine fiber sub- layer may be on a downstream side of the first and second layer . meltblown fine fiber layer in the inventive media may be between about 0.1 to about 30 microns, more preferably between about 0.1 to about 5 microns for a majority of fibers such as e.g. 95 % or 98 % of the total number of meltblown fibers. The average diameter of the synthetic fibers of this spunbond layer in the inventive media may be, for example, greater than or equal to about 10 microns, about 20 microns, or about 30 microns. In some instances, these synthetic fibers may have an average diameter of less than or equal to about 30 microns, about 20 microns, about 10 microns. Preferred is an average fiber diameter of less than or equal to about 20 microns and greater than or equal to 0.5 or micron (s) . comprise at least one adhesive layer or adhesive coating between adjacent first, second or, if present, third layers as defined above. Specifically, in one preferred embodiment, the inventive medium may comprise at least one adhesive layer between the first and the second layer and/or between the first and the third layer, if present. In another preferred embodiment, the inventive medium may comprise at least one adhesive layer between the first and the second layer and/or between the second and the third layer, if present. The adhesive can be any adhesive that can be spray-coated onto the layer to be coated. Preferably, the adhesive is selected from a polyurethane; acrylate; PVA; polyolefin ethylene co-polymer; and/or rubber-based adhesive. Most preferred are polyamide hot melt adhesives, polyurethane hot melt adhesives or PVOH stabilized carboxylated vinyl acetate-ethylene copolymers. In preferred embodiments, the adhesive is applied to the layer to be coated in a manner such that it does not affect the permeability of the corresponding layer. That is, the adhesive is applied with a coat weight of less than about 5 gsm. Alternatively, the inventive medium may comprise no adhesive layer between the first and the second layer and/or between the first and the third layer, if present, but these layers are laminated or adhered to by any commonly known technique (s) . In one embodiment, the inventive medium may comprise the second layer on a downstream side of the first layer. In preferred embodiments, the inventive medium may not include the protective fine fiber layer as third layer on an upstream side of the first layer. In an alternative embodiment, the inventive medium may comprise the second layer on an upstream side of the first layer . In some other preferred embodiments, the inventive medium may comprise the third fine fiber layer on an upstream side of the first layer. In more preferred embodiments, the inventive medium may comprise, or may consist (essentially) of, the second layer on a downstream side of the first layer and the third (fine fiber) layer is on an upstream side of the first layer. comprise, or consist (essentially) of, two sub-layers, namely a meltblown (such as PBT) and a spunbond (such as PET) fine fiber layer, and the second fine fiber layer may comprise, or consist (essentially) of, a spunbond fine fiber layer such as bicomponent PE/PP. In most preferred embodiments, the inventive medium may therefore comprise, or consist (essentially) of, the following layers from downstream to upstream: (B) the second layer; (Dl) a first adhesive layer on top of the second layer; (A) the first layer on top of the first adhesive layer; (D2) a second adhesive layer on top of the first layer; and (C) a fine fiber layer on top of the second adhesive layer. Preferably, the fine fiber layer may comprise, or consist (essentially) of, two sub-layers, namely a meltblown (such as PBT) and a spunbond (such as PET) fine fiber layer. In other preferred embodiments, the inventive medium may therefore comprise, or consist (essentially) of, the following layers from downstream to upstream: (B) the second layer; (A) the first layer on top of the second layer; and (C) a first fine fiber layer on top of the first layer. In other preferred embodiments, the inventive medium may therefore comprise, or consist (essentially) of, the following layers from downstream to upstream: (B) the second layer; (D) an adhesive layer on top of the second layer; and (A) the first nanofiber layer on top of the adhesive layer. In the most preferred embodiments, the inventive medium may therefore comprise, or consist (essentially) of, the following layers from downstream to upstream: (CI) a first fine fiber layer; (A) the first layer on top of the first fine fiber layer; (Dl) a first adhesive layer on top of the first layer; (B) the second layer; (D2) a second adhesive layer on top of the second layer; and (C2) a second fine fiber layer on top of the second layer. meltblown (such as PBT) and a spunbond (such as PET) fine fiber layer, and the second fine fiber layer may comprise, or consist (essentially) of, a spunbond fine fiber layer such as bicomponent PE/PP. In other preferred embodiments, the inventive medium may therefore comprise, or consist (essentially) of, the following layers from downstream to upstream: (CI) a first fine fiber layer; (A) the first layer on top of the first fine fiber layer; (B) the second layer; and (C2) a second fine fiber layer on top of the second layer. The inventive medium has a basis weight of about 100-300 g/m2, preferably about 150-300 g/m2. • optionally applying the third layer (iii) on top of the first layer, (iv) on top of the second adhesive layer coated onto the first layer, if present, (v) on top of the second layer or (vi) on top of the second adhesive layer coated onto the second layer, if present, wherein the applying is preferably performed by meltblowing a first fine fiber (sub-) layer and spunbonding a second fine fiber layer on top of the first fine fiber (sub-) layer; wherein the first slurry comprises water and cellulosic fibers . In this process, a first homogenous slurry is provided which may be prepared according to methods known in the art such as by adding and mixing the cellulosic fibers in water . Once the first homogeneous slurry is prepared, it is applied onto a dewatering screen in order to prepare the second layer. This screen can be any screen commonly used in a paper making process. Preferably, this screen is a dewatering endless screen. Upon supplying the first slurry onto the dewatering screen, a first deposit is formed on the screen. During or after deposition of the slurry, water is removed to form a wet fibrous mat or sheet. Subsequently, the wet fibrous mat or sheet is dried while heating to form the second layer as defined above. Optionally, impregnation of the thus obtained layer with a binder resin may be carried out, followed by drying and/or a first adhesive layer may be (spray-) coated on top of the thus prepared dried fibrous mat or sheet which corresponds to the second layer as defined above. The binder resin and the adhesive can be any one as defined above. electrospinning . Methods for electrospinning of the nanofibers are known in the art. Optionally, a second adhesive layer may be (spray- ) coated (i) on top of the thus prepared nanofiber layer or (ii) on top of the second layer. In the latter case, the nanofiber layer is present on the side opposite to the second adhesive layer, i.e. the second layer has a nanofiber layer on a downstream side and the second adhesive layer on an upstream side of the second layer. application is preferably performed by meltblowing a first fine fiber (sub-) layer and spunbonding a second fine fiber layer on top of the first fine fiber (sub-) layer as defined above. Basis Weight: The basis weight is measured according to TAPPI Standard T 410 om-02 and reported in grams per sguare meter (gsm or g/m^ ) . Caliper or Thickness: The caliper or thickness of the media is determined according to TAPPI Standard T 411 om-05 using a Thwing Albert 89-100 Thickness Tester. Corrugation Depth: The corrugation depth is the difference between the caliper of the flat sheet of media and the thickness of the sheet after corrugating the media. determined according to TAPPI Standard T 251 cm-85. interchangeable. Air permeability may also be referred to porosity, Frazier or Textest. The Standard Textest procedure is as follows: Saturated/Dried paper is to be cured for 5 minutes at 175°C (Solvent Based Systems) or 2 minutes at 175°C (Water Based Systems) prior to testing. Saturated/Cured paper may be given an abbreviated cycle at an elevated temperature, since it is only necessary to drive off any moisture present. Unsaturated (Raw) paper samples may be tested Off Machine; drying is not necessary. Test Pressure: 125 Pa (or 0.5"w.c.) . Place a sample to be measured felt side up between the clamping arm and the test head. Push the clamping arm down until it clicks, and locks into place, starting the test. Then note and record the displayed reading. Release the clamping arm by pressing down until it clicks a second time, stopping the test. All subsequent readings should be taken in the same fashion. (Quantachrome Instruments) and is reported in microns (ym or urn) . sample's bending resistance) . The unit of the Gurley stiffness is gf (gram force) which is herein sometimes also referred to as gms or g.
Medium Test Dust) , a terminal pressure drop of 12.3 psi , a circular shaped samp1e with test area of 31 in^ (200 cm^) and a face velocity of 3.74 inches per minutes . The inventive media takes at least 30 minutes, preferably at least 35 minutes to reach a differential pressure of at least 30 KPa when tested according to ISO 19438. Additionally, the inventive media takes at least 40, preferably at least 45 minutes to reach a differential pressure of 70 KPa during testing according to ISO 19438.
resulting filter medium is then corrugated. upstream side. 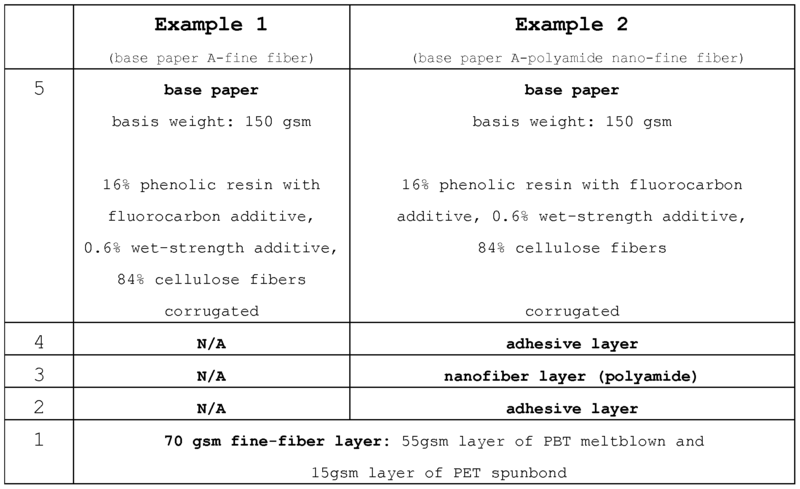 In addition, a layer of polyamide nanofibers electrospun directly onto the adhesive layer on an upstream side and an additional adhesive layer (polyurethane, hot melt adhesive) on an upstream side directly onto the nanofiber layer are present. The polyamide nanofibers' average diameter is about 130-200 nm. An additional protective fine fiber layer of meltblown PET (55 gsm) and spunbond PBT (15 gsm) on an upstream side directly onto the adhesive layer at an add¬ on of 70 gsm is further present. The resulting filter medium is corrugated. additional protective fine fiber layer of meltblown PET (55 gsm) and spunbond PBT (15 gsm) on an upstream side directly onto the adhesive layer at an add-on of 70 gsm is further present. The resulting filter medium is corrugated. Example 4 (comparative) : The base substrate has a total basis weight of 150 gsm and is a wet-laid nonwoven consisting of 100 % cellulosic fibers (84 % by weight cellulosic fibers in the medium) . The substrate is saturated with 16% by weight phenolic resin including 1-3 % by weight fluorocarbon as H20 repellant additive and 0.6 % by weight wet strength additive. The substrate (w/phenolic resin) has an air permeability of 16.8 cfm. The resulting filter medium is then corrugated. resulting filter medium is corrugated. Examples 7-9 were prepared according to the methods described in Examples 1-6 with the furnish compositions given in Table V below. The construction of inventive Examples 8 and 9 is also schematically shown in Figure lc. 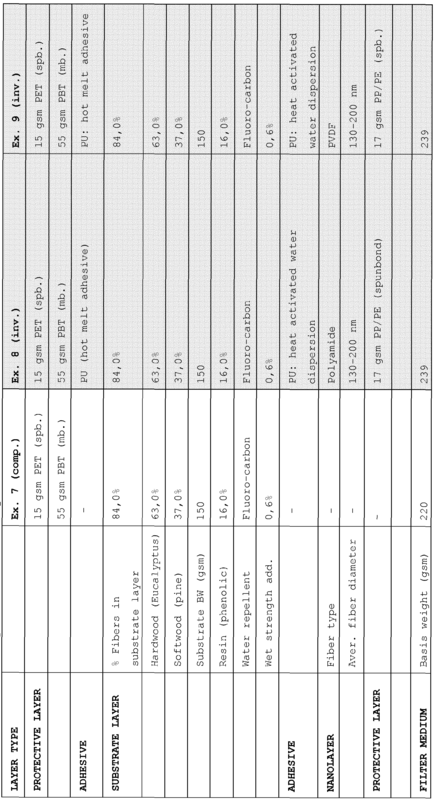 Table II shows the furnish compositions of Examples 1-6 and Tables III-IV show the properties of the thus obtained filter media . 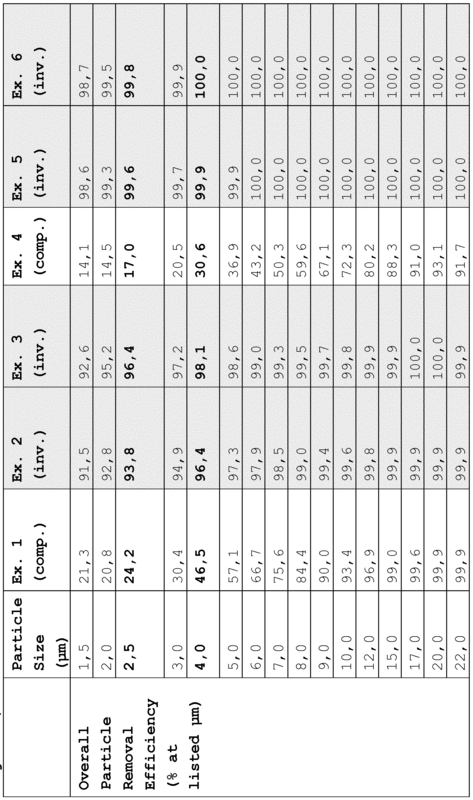 Table II: Furnish compositions of Examples 1-6.
able III: Properties of Examples 1-6. Table IV: Overall particle removal efficiency (determined according to IS019438; see also Figure 2) . 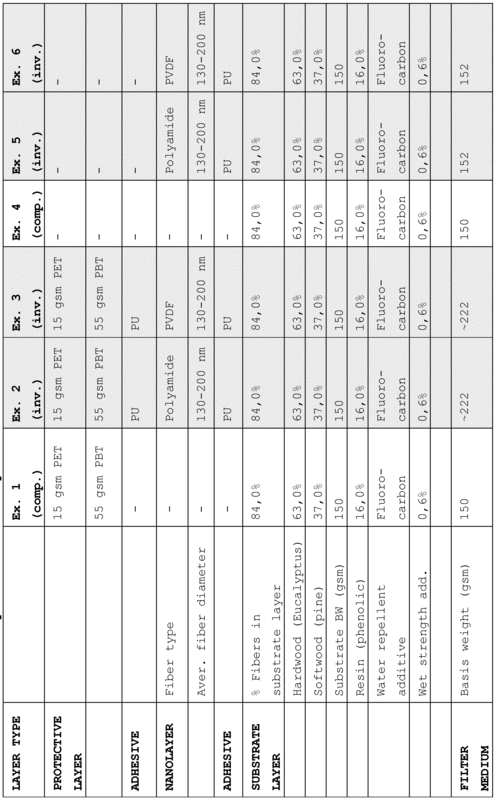 Table V: Furnish compositions of Examples 7-9.
achieving the desired particle removal efficiency. In addition, the particle removal efficiency obtained for the inventive media of Examples 2, 3, 5 and 6 illustrates that nanofibers formed from polyamide or PVDF are particularly preferred . wherein the high efficiency filter medium preferably has an overall filtration efficiency of equal to or greater than about 85 %, preferably equal to or greater than 90% or 93%, for particles having a minimum particle size of 2.5 microns when tested according to ISO 19438.
penetration of less than or equal to about 5 %, preferably less than or equal to about 2.5 %, more preferably less than or equal to about 1.5 %. 3. The filter medium according to claims 1 or 2, wherein the filter medium is characterized by a mean flow pore size of equal to or less than about 5 microns. 4. The filter medium according to any one of preceding claims, wherein the filter medium is characterized by reaching a differential pressure of at least 30 KPa when tested according to ISO 19438 after at least 30 minutes, preferably at least 35 minutes . characterized by reaching a differential pressure of at least 70 KPa when tested according to ISO 19438 after at least 40 minutes, preferably at least 45 minutes. preceding claims, wherein the fibrous web of the second layer is a wet-laid fibrous web. polyacrylonitrile ; polyamide (PA); and fluoropolymer such as polyvinylfluoride (PVDF) . 8. The filter medium according to claim 7, wherein the nanofibers are preferably polyamide or fluoropolymeric fibers . 9. The filter medium according to any of the preceding claims, wherein the second layer has a basis weight of about 60-250 g/m2. 10. The filter medium according to any of the preceding claims, wherein the second layer has a Gurley stiffness of about 2-15 g.
11. The filter medium according to any of the preceding claims, wherein the second layer comprises substantially no glass fibers. 12. The filter medium according to any of the preceding claims, wherein the second layer comprises substantially no synthetic fibers. 13. The filter medium according to any of the preceding claims, wherein the second layer comprises, or consists (essentially) of, cellulosic fibers in an amount of at least about 50 % by weight, such as at least about 60 % by weight or at least about 80 % by weight, based on the total weight of second layer. 14. The filter medium according to any of the preceding claims, wherein the nanofibers of the first layer are electrospun directly onto the second layer. 15. The filter medium according to any of the preceding claims, wherein the first layer consists essentially of nanofibers . 16. The filter medium according to any of the preceding claims, wherein the second layer includes substantially no fibrillated fibers such as fibrillated cellulosic fibers. 17. The filter medium according to any of the preceding claims, wherein the second layer is on a downstream side of the first layer or the second layer is on an upstream side of the first layer. 18. The filter medium according to any of the preceding claims, wherein the filter medium does not include a protective fine fiber layer as third layer on an upstream side of the first layer. 19. The filter medium according to any one of claims 1- 17, wherein the filter medium comprises a protective fine fiber layer as third layer on an upstream side of the first layer. 21. The filter medium according to any one of claims 19- 20, wherein the third layer comprises a spunbond fiber layer, such as a PET layer having preferably a basis weight of about 8 to about 30 g/m^, and a meltblown fiber layer, such as a PBT layer having preferably a basis weight of about 25 to about 80 g/m^ . 22. The filter medium according to any one of claims 19- 21, wherein the third layer has a basis weight of about 10 to about 200 g/m^, such as about 15 to about 100 g/m^ . 23. The filter medium according to any one of claims 19- 22, wherein the second layer is on a downstream side of the first layer and the third layer is on an upstream side of the first layer. 24. The filter medium according to any one of claims 19- 22, wherein the second layer is on an upstream side of the first layer and the third layer is on an upstream side of the second layer. 25. The filter medium according to any of the preceding claims, wherein the medium comprises an adhesive layer between the first and the second layer. 26. The filter medium according to any of the preceding claims, wherein the filter medium comprises an adhesive layer on a downstream surface of the third layer, if present. polyolefin ethylene co-polymer; and/or rubber-based adhesive . 28. The filter medium according to any of the preceding claims, consisting, or consisting essentially, of (A) the first layer; (B) the second layer; (C) optionally the third layer; (Dl) optionally the adhesive layer between the first and the second layer; and (D2) optionally the adhesive layer on a downstream surface of the third layer, if present. 29. The filter medium according to any one of claims 1-28, consisting, or consisting essentially, of (A' ) the first layer; (B' ) the second layer; (C ) optionally two of the third layers; (Dl') optionally the adhesive layer between the first and the second layer; and (D2') optionally the adhesive layer on an upstream surface of the second layer. 30. The filter medium according to any of the preceding claims, wherein the filter medium is characterized by a basis weight of about 100-300 g/m2, such as about 150-300 g/m2. 31. The filter medium according to any of the preceding claims, wherein the filter medium is characterized by an overall filtration efficiency of equal to or greater than about 99.9 % for particles having a minimum particle size of 4 microns. 32. The filter medium according to any of the preceding claims, wherein the filter medium is characterized by an overall filtration efficiency of equal to or greater than about 90 % , preferably greater than about 92 %, for particles having a minimum particle size of 1.5 microns. TSI resistance to flow of about 25-50 mm H2O. 34. The filter medium according to any of the preceding claims, wherein the filter medium is characterized by a leakage-corrected Frazier of equal to or less than about 6.5 cfm (32.5 L/m2/s) . 35. The filter medium according to any of the preceding claims, wherein the filter medium is characterized by a caliper of less than or equal to about 1500 pm. 36. The filter medium according to any of the preceding claims, wherein the filter medium is characterized by a dust holding capacity of about 30-300 mg/in^, preferably about 50-250 mg/in^, more preferably about 75-200 mg/in^, most preferably about 100-200 mg/in^ . 37. The filter medium according to any of the preceding claims, wherein the second layer comprises at least one binder resin which is preferably a phenolic resin, an acrylic resin, a melamine resin, a silicone resin, a fluorocarbon resin/fluoropolymer, an epoxy resin and/or mixtures thereof. 38. The filter medium according to claim 37, wherein the binder resin has a concentration of from 10-30 % by weight, preferably 15-20 % by weight, of the second layer. • optionally applying the third layer (iii) on top of the first layer, (iv) on top of the second adhesive layer coated onto the first layer, if present, (v) on top of the second layer or (vi) on top of the second adhesive layer coated onto the second layer, if present; wherein the first slurry comprises water and cellulosic fibers . 40. Process of claim 39, wherein the applying of the third layer is performed by meltblowing a first fine fiber layer and spunbonding a second fine fiber layer on top of the first fine fiber layer. 41. A high efficiency filter medium for fuel or oil filtration which is obtainable by the process according to claims 39 or 40. 42. A high efficiency filter element for fuel or oil filtration comprising the filter medium according to any of claims 1-38 and 41. 43. The filter element according to claim 42, wherein the filter medium is pleated. 44. The filter element according to claims 42-43, wherein the filter medium is corrugated. 45. The filter element according to claims 42-44, wherein the filter medium includes a wire mesh supporting layer co-pleated with the filter medium. 46. The filter element according to claims 42-44, wherein the filter medium does not include a wire mesh supporting layer co-pleated with the filter medium. 47. Use of the filter medium according to any of claims 1-38 and 41 or of the filter element according to claims 42-46 for filtering fuel or oil.